Levis 502 Regular Tapered Jeans In Headed East Grey, These jeans are constructed for ultimate comfort with warp stretch properties. Intentional fading overall the denim with a 3D crease effect to the thighs. 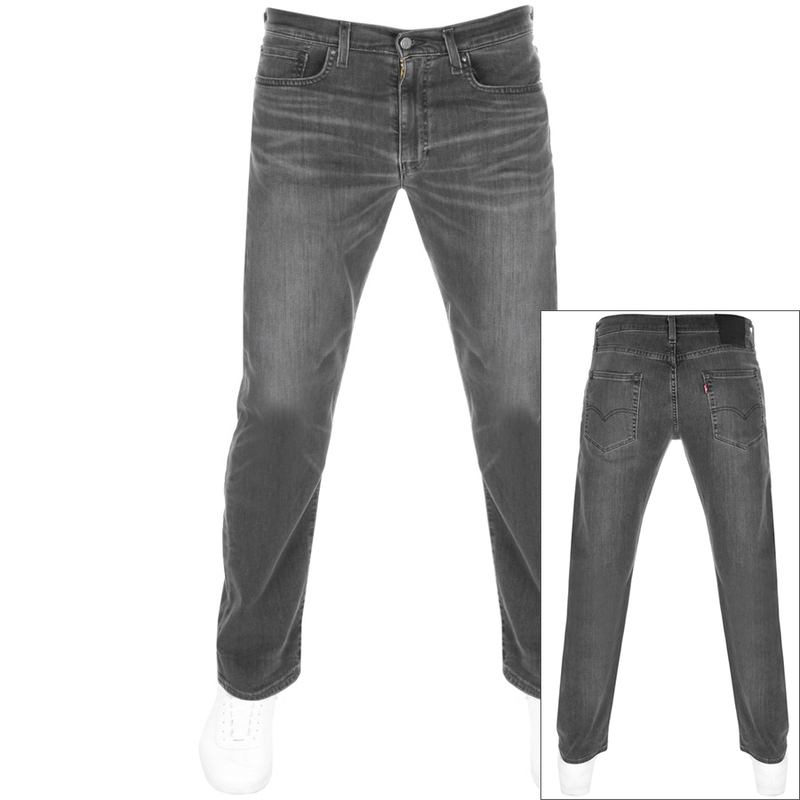 The jeans sit just below the waist with a regular fit through the thigh and a slightly tapered leg. A metal zip fly with a Levis Strauss logo embossed top button and five belt loops on the waistband. Five pocket design with two pouch pockets at the waist with a small coin pocket within the right pocket and two pouch pockets on the reverse. The signature Levis Strauss leather patch is on the reverse right of the waistband in black and red with the signature woven Levis logo pinch tag sewn into the reverse right pocket seam in red and white. Top stitch detail on the seams and the reverse pockets in dark grey with branded metal rivets across the front pockets for reinforcement. 94% Cotton, 4% Polyester And 2% Elastane. Brand New Collection Of Levis Jeans Live.